Many people in responsible public-facing jobs are concerned that if they so much as sign up on Facebook, they’re risking very public embarrassment. Pictures of evenings out after one too many drinks seem to be of particular concern. It does have to be said that anything you post on the internet has the potential to be seen at some point by just about anyone. Therefore, really sensitive information should just be kept to yourself. That being said, with a bit of care, it is possible to keep the public and private separate on social networks. For a short while, it looked like Google was doing it right with Google+ by introducing Circles. The Google+ approach to social networking was based on the concept that an individual has a number of social circles and how he/she behaves in each circle differs. Facebook was quick to catch up on that concept by introducing Smart Lists and the option to subscribe to people (if they allow subscriptions) without being friends with them. Lists and Circles, if used correctly can help you keep your professional and personal life separate. On 22nd September, Facebook’s Mark Zuckerberg announced a broad-reaching set of changes, which will now have firmly registered in the experience of most Facebook users. While previous changes to user experience have been relatively gradual, the new interface is clearly different and seems to follow the Google+ approach to social networking. Organize your social contacts in two basic lists: Personal & Professional. You can do this by adding people one by one to the lists or you can use the new auto listing feature of Facebook. 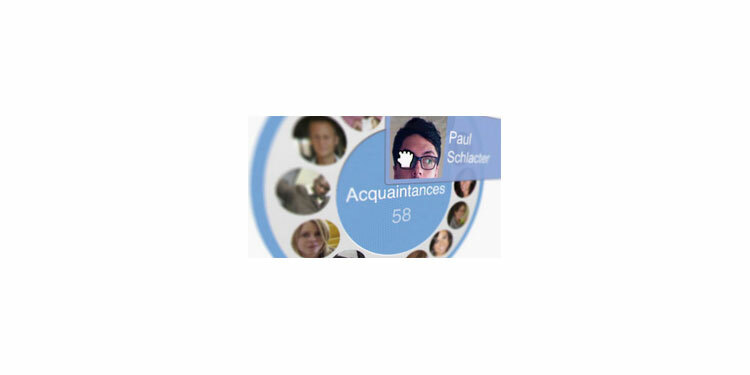 You can also have smaller groups to further categorise your friend list. Once you have spent some time organizing your contacts into listing, you can then start sharing your content to be only viewable by only a specified list or circle. You can do that by clicking the small icon next to share button on your Facebook or Google+. This way how your profile will look to your professional network will be totally different from how it looks to your personal network. The Facebook new profile design; Timeline has the potential to cause embarrassment – so be prepared. Information from years past will be easily accessible from your profile page – everything from exes to those hilarious student nights out. To control what gets displayed here, go to the “view activity” option above the timeline. For any info you want kept off the front page, select “hide from timeline.” Sorted. Finally, and this is something you can do now, pre- Timeline launch, choose “Limit the audience for past posts” in your privacy settings page. It is also a good idea to keep an eye on what mobile and web applications are you using and what can it share on your profile. Without being aware of these settings, some embarrassing updates on what we’re watching, reading, and listening to will appear on other’s news feeds, while we’re totally unaware. Most people don’t want everything they read, watch, or listen to being made public. Justin Bieber videos or articles on verruca treatment anyone? To ensure that none of this is broadcasted in the news ticker, or go to the apps page and edit settings for blog, newspaper, music and video apps that you may be subscribed to. An alternate method to keep your professional separate from personal is to use the professional social media network LinkedIn for work related social networking and using Facebook or Google+ for personal use. It is an option to keep two twitter accounts for professional and personal use. You can also protect your tweets on the personal account and control who gets to follow you. However it is a better idea to use Twitter as a public news medium where you can keep your followers updated. Twitter is like a popularity contest, and used in the right way, works great for business and marketing. Just keep Tweets positive and professional, and save the really personal stuff for your friends only updates on Facebook and Google+. So it’s easy – use Twitter & Facebook pages for business, LinkedIn or customized Google+ and Facebook privacy and sharing features to keep business and personal separate. That way you get to use social media for both its great marketing potential and ease of sharing with friends and family. If you need any help with setting up lists, circles or other privacy settings on Facebook or Google+ then leave a comment here or ask on our Facebook wall.